Comments: There are more than 40 named varieties that vary is size and shape of plants and also size shape, and leaf color. A few of these get up to 30 feet in both height and spread, but most are less than half that. 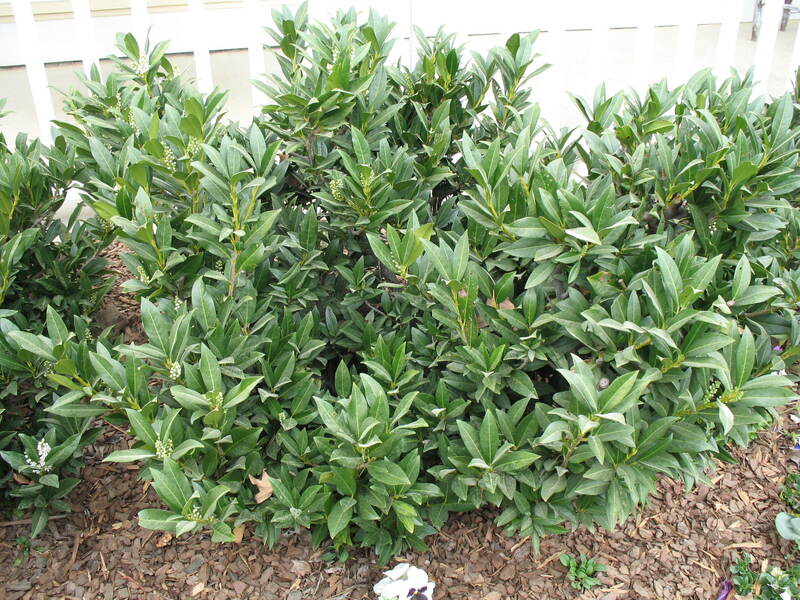 English laurel should be pruned after it has produced its white, fragrant flowers.